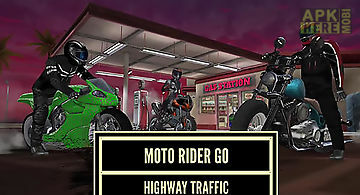 Moto racing: traffic rider game for android description: Ride a fast bike along the streets of a big city busy country highways twisted tunnels and other tracks. 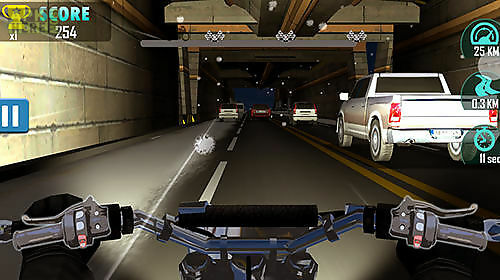 Demonstrate your reflexes and bike riding skills on the roads of this android game. 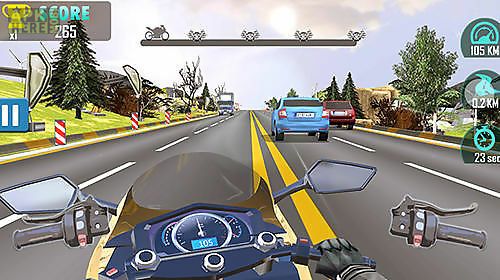 Tilt your device to maneuver in the stream of vehicles and step on the gas. Dont forget about brakes and avoid crashes against numerous obstacles on the roads. 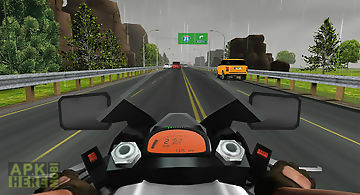 Complete tasks get rewards set records and buy new bikes of different models. 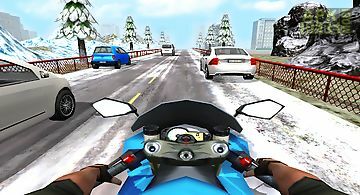 Ride your bike and overtake traffic vehicles in this moto racing game. 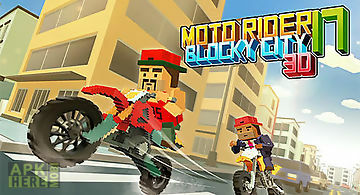 This game features nice graphics and first view camera. Speed up a powerful bike to maximum. Rush along the streets of a big city and coutry highways full of vehicles. 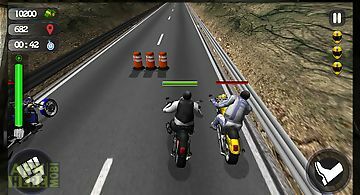 Demonstrate good reflexes and bike riding s..
Ride your powerful bike along busy tracks. 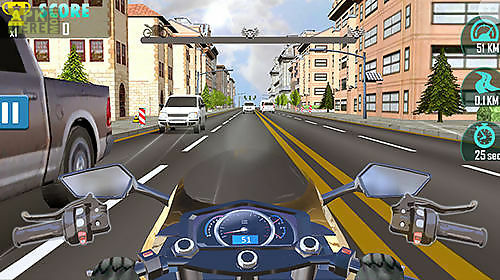 Maneuver in the stream of vehicles and avoid accidents. Bring your dream to life and become the best biker in th..
Get your helmet on and get ready to land in to the empire of heavy moto bikes. 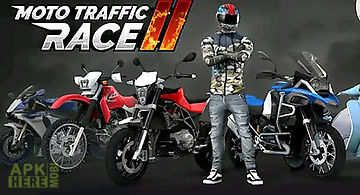 Traffic attack rider bike racing game includes extreme bike racing bike atta..
Multiplayer experience are you ready for a realistic race with other players? Absolutely real time multiplayer traffic racer experience. Real hd graphicsco.. 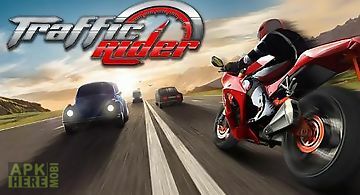 Accelerate your motorcycle and ride around busy tracks full of various cars. Overtake cars and earn points. 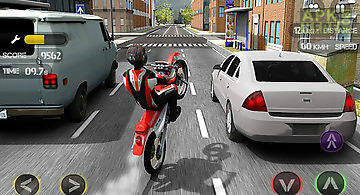 Speed across endless highways of this game for ..
Super moto bike rider 3d is a multi 3d environment racing game for android. 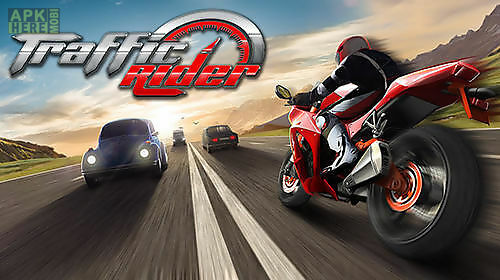 Bike riders will love it as it have heavy motorbike with nitro booster. 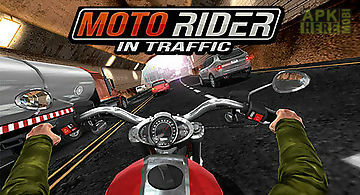 These a..
Drive your moto through traffic and enjoy the fast paced thrilling racing game. 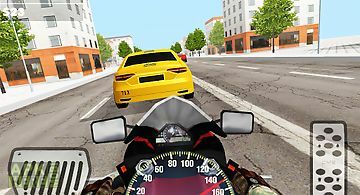 Features: tap to accelerate auto speed ups ride your bike through city tunn..
Race the traffic moto takes bikes games to a whole new level. Have fun dodging cars and trucks while you speed up to the limit. 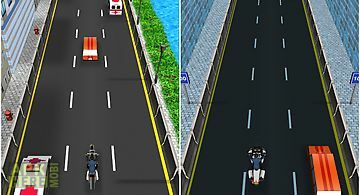 Race against the ai in an o..
Ride a fast bike and rush along a busy highway maneuvering in the stream of vehicles and avoiding crashes. 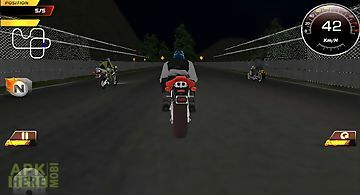 Become the best rider on the tracks of this dyna..